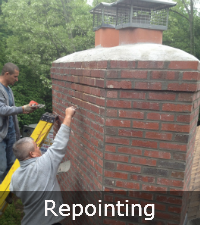 Chimney Repointing on Long Island | Sunrise Roofing & Chimney Inc.
Chimneys are responsible for acting as a vent to remove smoke and gases from your home. The mortar between your bricks on the chimney can begin to crack and crumble over time because of the constant exposure to the outside elements. If your mortar is damaged moisture can enter the chimney which can lead to costly repairs such as a chimney collapse. Chimney Repointing is recommended to prevent these problems from happening. If the mortar between the brick of your chimney is cracking your chimney needs to be repointed in order to prevent serious and costly damages! Here at Sunrise Roofing & Chimney we have experience performing chimney repointing on thousands of Long Island homes. If you believe it’s time for chimney repairs don’t hesitate; contact us! 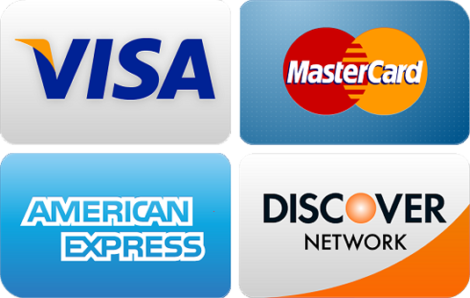 We provide 100% free and honest estimates for reliable work. We will inspect your chimney free of charge and provide you with an estimated price and time frame. It is important to familiarize yourself with these types of home improvements. Sunrise Roofing & Chimney is the leading chimney contractor on Long Island. We have over 15 years repairing and repointing chimneys in Nassau and Suffolk County. Our chimney repointing specialists can help answer any questions you may have about your chimney issues. Below is list a frequently asked questions about chimney repointing! Chimney repointing is repairing the mortar joints between the bricks of your chimney. Over time, the mortar joints will begin to crack and crumble. When this happens, the mortar must be repaired so that there is a good seal between the bricks of your chimney. What can happen if my chimney is not repointed? Repointing a chimney is necessary when you see that the mortar joints are beginning to crack and crumble. If the mortar is not repaired, there is a risk that your chimney will allow moisture inside. This can result in further damage to your chimney and home and even the collapse of your chimney. When you notice the mortar on your chimney is beginning to fall apart, it is best to get it repaired immediately to avoid expensive damages. How long does it take to repoint my chimney? Most chimney repointing projects can be done in one day, however, this can vary based on the damage to your chimney and size of your chimney. Our team of experts will let you know how long your chimney repointing will take during your free estimate. How much does chimney repointing cost? The cost depends on the size of your chimney and the damage to the mortar joints of your chimney. We can guarantee that the cost will be worth it as it will prevent further damage that can lead to expensive repairs. We’re so sure you’ll be satisfied we offer a satisfaction guarantee and up to a 30 year guarantee on materials and labor. To learn more information about repointing your chimney, schedule your FREE ESTIMATE at (631) 657-5059 today!